Knock Knock! Special Delivery — Bayonetta 2 Arrives! What’s that? Knocking on my door, I wonder who can it be? Maybe it’s the new game I ordered and can’t wait to play!!! Door opens, package enters hand, signature given, door closed and package ripped open. 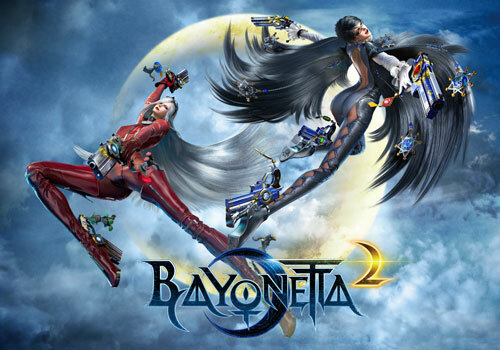 (Cue the classic Zelda tune) It’s my brand new game and it is Bayonetta 2, time to put those long legs into action, don a pair of chainsaws for shoes and kick some serious arse. Its go Time!!! I’ll be honest, when Bayonetta came out back in 2010, I never heard of it, then I watched an episode of Video Game Nation #VGN this yeah and went: “Yeah I can see the appeal, but” and that was it, it did look like a decent game, with very interesting prospects but that was as far as I let it go, for a couple of months. Time changes as does the mind and in all honesty, there is only so long you can say no to playing a videogame, where the lead female protagonist summoned Queen Shiba and punched God into the sun at the end of the first game. I don’t recall any other games that have ever done and if that’s how they ended the first game, well just think about the ending to Bayonetta 2, which people are still talking about, but lips shut people. No spoilers, I want it to be a surprise! And I’ve seen the first 10 minutes of the game, it is sheer madness. No King Leonidas, it’s not Sparta its Bayonetta and as far as video gaming goes, madness means FUN! So while I’m off getting my fix, attempting to shoot my veins up with the disc a couple of times before I stick it into the Wii U console, I can encourage you to do the same, play against each other, a competition if you will. Till Next Time and remember, stay gamiful.